A delicious Tourtiere is a must for a cold winter day, and is great comfort food. There are many variations, this is just one but you can adjust to your taste by changing the fillings. This tourtiere recipe originated in Quebec and is frequently enjoyed in the winter months, particularly during the holidays. There are no absolute rules for making the pie and some variations can include root vegetables, veal, or seafood in the filling. This traditional meat pie is the one dish to make if you're looking for something easy, authentically Canadian, and delicious. The pastry itself is even up to individual interpretation. The classic pastry dough is the most widely-known version, but some cooks swear by a seasoned mashed potato topping not unlike a Shepherds or Cottage Pie. 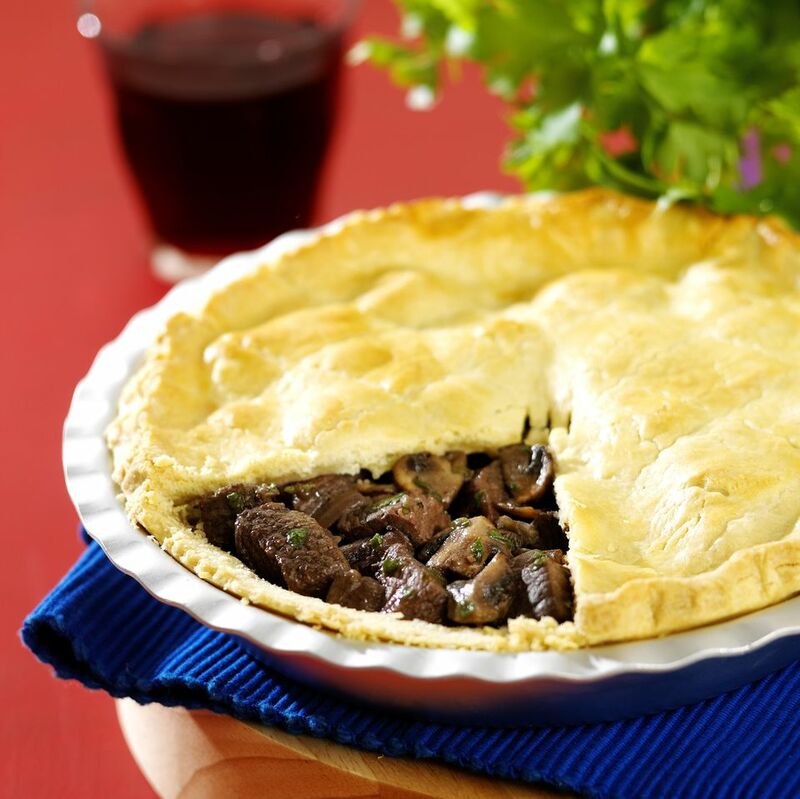 Any way you make it, this French Canadian meat pie is a delicious way to warm up on a cold evening. Roll the pastry dough into 2 equal-sized circles to fit a 9-inch pie pan. Grease the tin with a few drops of olive oil and line the bottom of the pie pan with 1 circle then cover and set aside the prepared pie pan and remaining pastry for later. Using a large skillet, heat the remaining oil over medium-high heat and sauté the pork, beef, onion, garlic, carrots, and celery until the vegetables are tender and the meat is cooked through. Drain any excess fat from the pan. Add the beef stock, Cognac, herbs, and spices to the meat and vegetables; simmer the mixture over low-medium heat, covered, for about 15 to 20 minutes. Remove the skillet from the heat and stir the dry breadcrumbs into the mixture. Allow the meat filling to sit for 3 minutes. Spoon the filling into the prepared pie pan and top with the remaining pastry dough. Crimp the dough shut, flute the edges, cut vents in the top, and bake the pie for 12 minutes. Reduce the oven heat to 350F and continue baking the pie for 25 to 30 minutes, until the pastry is golden brown.